Ms. Volin majored in Studio Art with a concentration in ceramic sculpture. She received her art education teaching certification from Meredith College. 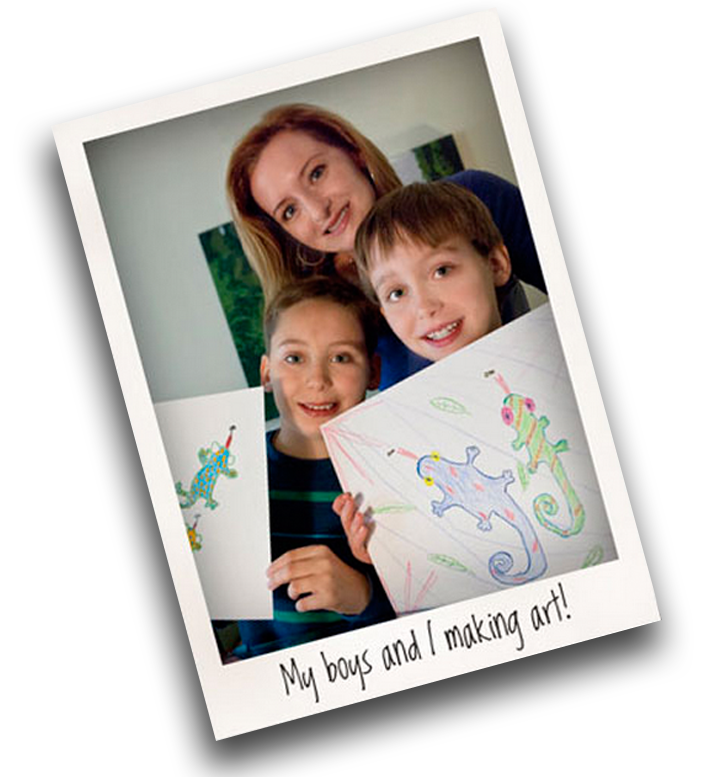 Ms. Volin is an enthusiastic mom to two wonderful boys. They make her laugh every day and it’s a pleasure to watch them grow. Ms. Volin grew up in Anchorage, Alaska, where her parents encouraged her love of art. She gained an appreciation of Native Alaskan art and often utilizes those motifs in her own work. The family moved to North Carolina during her teen years and Ms. Volin has come to love the South and cannot imagine living anywhere else. "I am a strong advocate for art education and believe that every child can benefit from it. Art promotes creative thinking, problem solving, and stimulates and develops the imagination. Not to mention the fact that it’s a lot of fun! I hope you will join our Home Art Studio community of students."